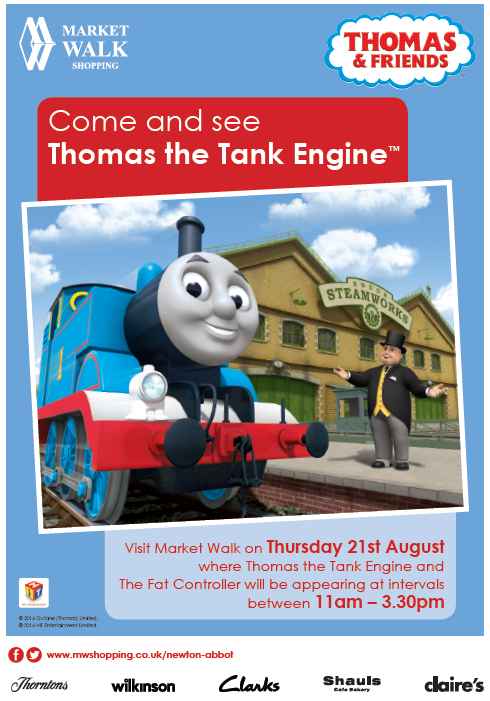 Thomas the Tank Engine and the Fat Controller brought carriage loads of joy to Market Walk Shopping Centre on Thursday 21st August. Hundreds of children and families queued up to meet them, taking photos and getting on board Thomas. Next Next post: Bag It. Beat It.